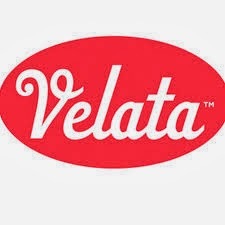 By now you have probably heard of the Raclette from Velata this is an amazing cooking grill like the old swiss tradition what they use to cook on. I really love mine and what we did is cook on both grills the raclette comes with a non stick aluminum grill top that has a smooth surface and one side has a ridged surface they are both really nice to cook on we actually used both sides of this when we cooked our lunch. First we cooked hotdogs and toasted the buns on the flat surface side and grilled the dogs on the rigid side. They were really good. And that evening we cooked on the granite stone summer sausage, squash, green peppers, onions, and 2 cheeses munster cheese, and pepper jack cheese. I loved both meals and they were really tasty. I love the raclette and find that I am using this a lot to cook with. I can't wait till we have our sister's weekend to take it over and find more cooking idea's for the raclette. Create memorable meals or parties with the Velata Raclette Tabletop Grill. Borrowing a centuries-old Swiss tradition, the Velata Raclette is an easy-to-use appliance that allows you to cook delicious meals at the table. The Velata Raclette Tabletop Grill includes 2 grill tops to give you the perfect surface to cook meats, fish, vegetables, or any grillable food. The 100% natural granite stone top triples as a pizza stone, a cold stone, and an elegant serving tray. And the non-stick cast aluminum grill top features a ridged grill on one side and a smooth griddle surface on the other. While your meat or veggies cook on the grill, your cheese melts perfectly in the dish for a culinary match made in heaven! Share this fun, interactive experience with your loved ones and enjoy more engaging meals together. Bon appétit! Includes grill, 2 grill tops, 8 raclette dishes, and 8 spatulas. I loved all this food and was really surprised that my husband ate some veggies. He isn't much of a veggie eater but I guess with all the cheese that was melted over it helped he probably put a little to much cheese we used the block cheese but i think cheese slices would be better unless you can control how much you cut off the block. Note for Care instructions these can both be put in the dishwasher but I would recommended spraying the granite with water while its still hot and get as much of the stuff off before putting into the dishwasher. Their may be a little staining on the granite due to the cooking of veggies or meats but don't worry it won't affect your cooking!! Want to win a Raclette of your own??? Yes, that's right I will be giving one away to one lucky winner!! Please if you have won within the past 6 months one of our products please wait for another giveaway to enter. So everyone has a chance to win!!!!! Enter the Rafflecopter Below for your chance to win. ...because it looks like it would be so easy. I would toast buns for sloppy joes. Probably Steak and Shrimp, because they are two of my favorites. I would cook hamburgers as my husband loves to use the cast iron frying pan to cook them and I don't like to use it as it doesn't look to be healthy. I would cook veggie burgers on this! The Fiesto Queso Enchiladas look delicious. I would like to make these. I would cook hamburgers and hot dogs. My favorite recipe is the Caramel Milk Chocolate Éclairs. We love "Brinner" at least once a week so I would cook bacon & pancakes or sausage on this grill :) Oh. & hot dogs would be awesome on this I'm sure! chicken! we find it so tough to cook!! The recipe I would most like to try is the Fiesta Queso Enchiladas .. yummy. What would you try to cook on this and why?? What is your favorite recipe or you think would be your favorite? Kelly Nicholson "Hard Captions"??? What can't you see?? Id like to improve it? What are you talking about?? I'm the one doing this Giveaway I wouldn't complain about what I require for my entries!! I would try to cook hamburgers, because my family loves them and this seems more convenient. I love any and all dessert recipes! I would love to cook hotdogs on this grill. It would be so much easier than firing up the big grill for just a pack of hotdogs! This is so interesting! I think I'd try to cook some salmon on it because I do sometimes have a hard time grilling fish. The recipe for Smoked Gouda Turkey Wraps sounds good. I think you could substitute some grilled turkey or chicken breast for the sliced meat too. I would try some grilled fish on this first, then some hamburgers and hot dogs. I want to try the Caramel Milk Chocolate Eclairs. I love caramel and chocolate and it sounds delicious. I would try a grilled chicken. Thanks! The recipe I would try would be the Smoked Gouda and Spinach Stuffed Chicken. I would cook hamburgers on this, I really really want this, natbelinsky@verzon.net thank you! Would love this to cook juicy hamburgers all year. corn on the cob love fixing that different!!! I'd cook anything on here that I would on my big grill. My favorite recipe is cubed venison, soaked in Dales steak sauce and then grilled. This made me almost lose a finger one night when my dog smelled it on my hand. I would cook veggie burgers on this device. I want to try the smoked gouda and spinach stuffed chicken. I would try to cook chicken breasts because I would like to see how different it would be compared to baking it in the oven. The Bacon Jalapeño Poppers sounds delicious! I want to try caramel milk eclaires.....what a great treat for my mother. I would try fish and veggies to see how it compares in the oven. Favorite would be Chocolate Peanut Butter Mud Pie. I love sweets . Chocolate and Peanut Butter is a great combination for me. The Fiesta Queso Enchiladas look very good! I'd cook thinly sliced and marinated chicken and beef strips along with onion and pepper slices for fajitas. We love Tex Mex. The Bacon Cheddar Twice Baked Potatoes sound good. Steak because I love a good steak and this looks like a great way to cook them. Raspberry lemonade cookies sound good. Bacon Cheddar Twice Baked Potatoes recipe sounds good. I would love to try steaks, yummy! I would make some grilled veggies and burgers. The apple pecan mocha cake look awesome. I would like to make hot dogs on it. I like them to be crispy and this would be much better than boiling. the dark chocolate torte looks DIVINE!!! the Santa Maria BBQ Potatoes look delish as well! I tried to vote for you on picket fence, but it didn't come up with your name. I would def first try to cook some cheeseburgers and hot dogs....yum. Mmmm....My fave would be the caramel milk eclairs. I'd like to try making a traditional raclette down to the cornichons! I think the Fiesta Queso Stuffed Peppers sound great! i am going to make pork chops for sure i think they would be very juicy! Veggies with cheese and toasted cheese sandwiches. I think my kids would love the interaction with their dinner. Fiesta Queso Enchiladas looks good. I'd like to try the coriander broccoli, maybe cook some lamb burgers on the grill! I'd try everything and anything...we don't own a stove! Yum! The Dark Chocolate Torte had me at hello! I would grill shrimp on it. I'd cook hot dogs and I like the raspberries brownies recipe.